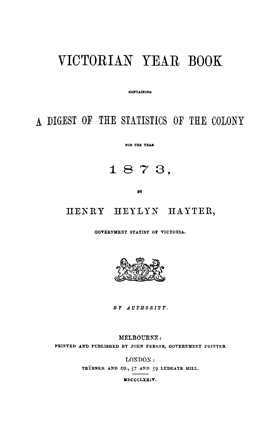 The Victorian Year Books are full of statistical information about the colony of Victoria. Each particular volume includes a Table of Principal Events that occurred in that year. It's an invaluable genealogy resource for anyone exploring their family history or building a family tree.